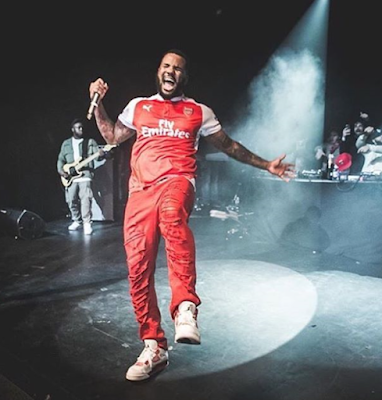 Popular Rapper, The Game, who was supposed to kick off his Australian leg of the Documentary 2 tour on Sunday February 21 has been forced to cancel his Australian appearance after being stopped by border security for holding the incorrect visa. According to TMZ the 36-year-old was ordered to leave the country last Friday after touching down from Dubai, United Arab Emirates. 'Unfortunately the tour by The Game is now cancelled. All ticket holders will be entitled to a refund from point of purchase,' they posted across Facebook and Twitter. 'Please allow a few days for us to liaise with the ticketing companies but we will work as quickly as possible to organise this and keep everyone updated. 'We apologize for any inconvenience this has caused,' they concluded. The Game is yet to comment on the sudden cancellation of his tour Down Under. He was scheduled to appear in Queensland, South Australia, Victoria, Western Australia and New South Wales over the duration of one week. But while he was forced to leave Australia moments after touching down, The Game was a no show at New Zealand’s Raggamuffin Festival on Friday after missing his flight from Dubai.